extension – One Billion Hungry: Can We Feed the World? 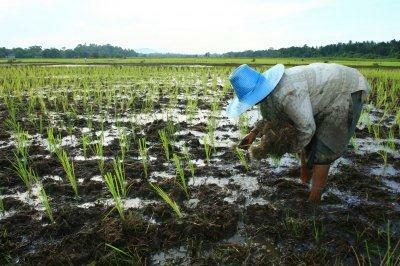 The technique of Agroecosystem Analysis (AEA) is discussed in Chapter 11 and is essentially a way of engaging farmers and utilising their knowledge to inform research agendas and development programme design. Chapter 11 outlines the development of AEA in Chiang Mai in Thailand in the 1970s, and now a recent guidance manual authored by the Cambodian Department of Agricultural Extension (DAE), Ministry of Agriculture, Forestry and Fisheries (MAFF) and CGIAR Challenge Program on Water and Food (CPWF) outlines the key principles for using AEA in Cambodia. Commune Agroecosystem Analysis (CAEA) was officially adopted in 2004 as the national policy by MAFF as part of their extension system. CAEA has been conducted in over 500 communes and in 2008 was extended to cover fisheries, which are often closely linked to farming. The programme is funded by the public sector and range of international donors.